Our activity packages offer you flexibility. Single activities, half or full day and weekend packages. Catering can be included for groups. With our excellent reputation and years of experience, we can guarantee you peace of mind, that our experts will deliver a unique event which will exceed all your expectations! Outdoor Activities in The Lake District PURE EXHILARATION. Whether you're part of a group of friends, a corporate team, a stag/hen party. The Outdoor Adventure Company has an impressive range of exciting and enjoyable activities set in 300 acres of the glorious Lake District. Ride quad bikes and Landrovers on our four-kilometre off road 4x4 driving challenge. 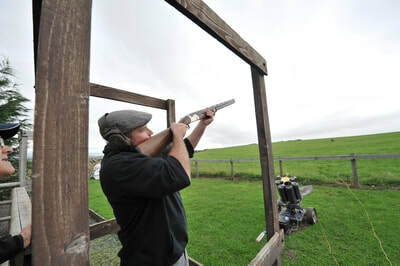 Take part in our various shooting activities from Clay Shooting to Archery, Air rifle and Paintball. We can design packages to suit all needs and expectations, call us for more information, contact us or see the list of our individual activities.